The Parelli Foundation recommends these best practices for the handling, use, and care of horses in Therapeutic Horsemanship settings. The complete research study by Cryshtal Avera follows. Courage Reins uses these best practices. Horse care standards in the equine therapy industry are not centralized or accounted for through channels of publication or searchable mediums in the form of data. Previous research has shown the need for further inquiry, specifically from within the industry, is needed to help establish continuity and sharable content for organizations and practitioners in the equine therapy industry (Soulseeker Journey, 2016). Successful approaches to horse care and horse happiness within the equine therapy industry have shown varied strategies are useful where the end goal is healthy, happy horses. There are consistencies that make up the blueprint of a successful horse care program while embracing the vacillating nature of needs when it comes to healthy, happy horses. Shared philosophy and clarity on the horse handling and horse care approach as well as consistencies in handling of horses by volunteers and staff along with the need for natural herd living environments are some of the consistencies this, and previous research, predominantly through surveying industry experts shows are needed. Qualitative and quantitative approaches were both implemented to accomplish the creation of a recommended horse care standards best practices document. This project incorporated input from seven Executive Directors of equine therapy programs along with expert advisers with the outcome of a one page document with the title “Best Practices” where the vision is that the document may be a starting point for any equine therapy organization to create a unique best practices document that is useful to their horse care standards program. Seven Executive Directors of equine therapy organizations, expert advisers from the equine therapy industry, and an internship advisor who is an expert in the equine therapy industry and a Program Adviser made up the team of participants surveyed for this project. The goal and outcome was a one page document of recommended horse care standards, described as best practices, for equine therapy organizations based on the utilization of Appreciative Inquiry, with the Action Research Model as supportive management theory, and the exclusive input of the participants used for the end-product. Appreciative Inquiry is a process used in the Positive Model of Change (Cummings & Worley, 2016). The Positive Model focuses on what is being done well in an organization rather than what is being done wrong as in other models of change. Previous research I have completed on horse care standards in the equine therapy industry overwhelmingly indicated the focus of inquiry and acquiring information must come from within the industry to be embraced and that focusing on leveraging the strengths in the industry specifically related to horse care standards is likely to produce a positive outcome for the horses in the form of industry experts sharing knowledge and uniting. Clarity that connection with and to experts and facilitators in the field is a necessity for optimal results and the fact that the inquiry will be a long term one resulted in the choice of Appreciative Inquiry as the approach for this research project. The process of this project utilized Appreciative Inquiry as a framework with the understanding that the participants’ responses would control the timeline and guide the development of activity. Emails were used to contact the participants and a private Facebook group was created, initially. The goal was outlined with the focus being on the use of technology as well as simple, efficient communications with the intended result being communicating only what was needed so busy participants could engage easily. Participants responded to emails and the Facebook group. A portion of participants responded only to email and a smaller portion participated using the Facebook group. The decision was made to continue to utilize both communication mediums based on varied use of both. A survey was employed with open ended questions to encourage participants to offer detailed and personalized input (Avera, 2016). Themes observed during the first week after the survey was sent was a lack of immediate response. A follow up email was sent one week after the initial email with the survey link and each participant that had not responded to the request to join the Facebook group using the link was added manually using emails. User error in creating the Facebook group resulted in the need to make a change to a setting to allow participants to be able to see the group when they clicked on the url provided in the initial email. The theme of lack of use of the Facebook group throughout the project may have stemmed from this initial administrative hiccup. The creation of a best practices document based on collaboration to attain the knowledge and experiences of insiders was the initial preferred future envisioned. The recognition of the need to simplify the vision and focus on the task at hand produced a change in preferred future envisioned by the third week of the project. Creating a simple strategy that offered optimal user friendliness through use of technology to allow for substantial feedback from participants became a focal point of the vision. Step 5 offered the opportunity to review previous steps and ask myself what was working and what was not working then design a better strategy or make changes needed with a clear focus on the goal of creating a one page document of recommended horse care standards utilizing the input of the participants who were industry experts. The project completed during an 11-week internship. The first draft of the best practices document was created 5 weeks into the internship utilizing the data gathered from 6 respondents to the survey. Ongoing engagement with my Internship Advisor and my Advising Professor with the invitation sent for further input from all participants and two responses received allowed for the final document to be drafted. Detailed input was received from respondents throughout the project with the majority data compiled from the initial survey. How do you define “Best Practices”? Please offer your opinion of the definition of Best Practices. Finding best practices that define how you do your work. Then clear and concise written best practices that are shared with those using the best practices. I do think it is important that after it is shared, making sure that there is understanding and clarifying to ensure it is understood. Communication is always something that causes misunderstanding – so the loop must be closed. Best practices could be defined as the practice of creating a standardized system of care and management that helps to promote the horses physical, emotional, and mental well-being. The consistent habits and techniques that recognize the individuality of the horse and help maintain physical, emotional and mental health. I believe that “Best Practices” should define the outcome (end-product) not necessarily the journey. Equine Therapy centers represent such a huge spectrum of design and program elements that I think it would be cumbersome and maybe even push them to failure by telling them “how” they must do it. We began with a desire to improve the quality of life for our herd, acknowledging that our practices were suppressing their very souls. So maybe the first step to “Best Practices” is to being able to identify that what you are doing isn’t right or fair for your horses. And in taking responsibility for all the contributing factors is going to likely bring new, and maybe some very serious, challenges to your existing business model. Best practices are those things that are done for the welfare, safety, and positive intent for all participants. I believe they should be looked at as guidelines to achieve optimal outcomes. These guidelines should help set industry standards. 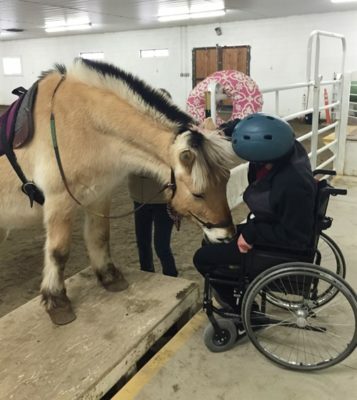 Do you utilize one style of horsemanship in your therapy program for volunteers and staff or have you created your own best practices in horsemanship? In the past, if we have a new equine manager, that individual would change things up – we are in the process of defining how THE PROGRAM manages the horses so that it doesn’t matter who is the equine manager. We are also developing core values that extend to any part of our program so that we handle things differently going forward. Good changes, not fixing bad things! We have been trying to implement the Parelli program in to our horsemanship program in much of what we do, but we do not do Parelli throughout the entire program. Many of our volunteers and a few of our staff are not educated in the Parelli program, and we follow the CHA program standards. I helped start Wind Haven Therapeutic Riding here in SW Washington by introducing them to Parelli and then incorporating Bill Avery into the orientation and education of ALL the volunteers and staff. Before the program opens January 7, all the volunteers who touch a horse for any reason will have passed PNH Level 1. The Horse Captains, who are responsible for the mental, emotional and physical development of each horse, will have passed PNH Level 2. Even those who do not ever touch a horse, have received education in horse behavior, horsenality and the 7 games (relabeled the 7 tasks for veterans who did not appreciate the title “games.”) The owners of the program were familiar with Clinton Anderson and John Lyons, so the training materials are a mix of the three programs. Our center utilizes Parelli Natural Horsemanship. It is required that the staff and volunteers not only learn but employ and embrace the program concepts. Please list your organization’s top 3 to 5 Best Practices requirements in horsemanship / handling and describe your horsemanship style/approach. 1- We teach a standardized approach to basic horse handling and care, so that our horses are used to the program and it is safe and not confusing for them. 2-We try to teach and implement the Parelli 7 games as possible, to help our horses think, play, and to get good, safe handling and stimulation. 3-We avoid hitting, yelling, bullying and harming the horses, so that their environment is safe and they trust us. We have a zero-tolerance rule with the youth in our program. (And very rarely have issues with this). Horses live in one herd – we do not separate unless necessary for safety and those horses who display usually overly aggressive behavior are separated and rehabilitated back into the herd over time. Natural movement and lifestyle and diet – forage fed free choice in multiple locations, water and minerals are located in different areas, movement to and from each is required horses are handled in a way that respects their psychological needs and all aspects of handling strive to never block the horse’s choice to not participate and encourage their desire to participate. 1-Began with a Definition Development of an Overall Philosophy. 2-The horse’s needs are considered in all program decisions. 3-The horses deserve to be treated with the same expectations and regard by everyone handling them (staff, volunteers & participants). 4-We set in motion additional activities and training that clarify what is expected of them and allowing them time for welcomed new activities which should provide both mental and physical challenges. Creation of a Horse Enrichment Program, Staff Expectations & Training, and Volunteers Participants. 5-I’m not writing anymore about the four other areas at this point. I would emphasize that many, many adjustments were made to our entire operation and many parts had to be re-defined several times, especially with staff training and expectations. Regarding therapy horse happiness and physical / mental health, what are the top 3 to 5 practices you utilize in your program? 1-Allowing our horses to live in a herd, turned out with space to play and socialize. 2-Carefully monitoring our horse’s use and work time, to make sure it doesn’t exceed 3 hours a day, and that the horses are doing a variety of tasks and not getting stressed or overworked. 3-We try to make sure horses get non-demanding time, where they get to graze, go for leisurely walks, and get groomed. Does your organization have a formal horse health / horse happiness program? If so, would you be willing to share a copy for purposes of this project? We don’t have a formal one but as we get our practices in place this would be a good thing to have, so would love to have that information from others. We do not have a formal health/horse happiness program, but we do make sure to stay current with horse health needs (vet checks, vaccinations, teeth floats, regular farrier schedule, etc.) We strive to keep our horses at a healthy weight through diet and exercise, and try to not overwork or bore our horses with monotonous tasks. We also try to incorporate the Parelli games and trail rides into our program as possible, to provide different kinds of exercise and stimulation to our horses than just arena work. Yes, not shareable easily or quickly, could be possible later. We have very formalized practices for the physical care of the horses We use the horse enrichment program to track weekly their over-all well being We have just finished our first ever yearly herd review, where each horses is seen and handled/ridden by Lillan and Angie. Then their prescriptions for activities are adjusted towards their next set of goals. We are hoping to bring in enough money to do this twice yearly. Having fresh eyes on the herd by a proven professional allows us a clear route to continued growth and success. Please use this space to give your thoughts on this project and what the focus on outcome should be along with any ideas or thoughts on approach and important questions we should be asking to ensure the most value from this collaboration. I feel that horse happiness and health is a very important topic, and that we haven’t done a very good job creating a formal plan to address this topic. We do individual tasks to take care of our horses, and to help them overall, but it would be wise to formulate a plan to provide consistent, structured care to our horses in a best practices plan. Important questions would be those that relate to promoting our horses’ well being, and following up to evaluate and see how those practices are working and being implemented by our staff and volunteers. Our end goal is to have happy, healthy horses that love what they do, so that they can in turn continue to help the students in our program to also heal and learn. I am so excited about this project for the Foundation and for Wind Haven. As a board member at Wind Haven, I plan to take everything this project develops and get it implemented immediately. I may have to move a bit slower with the Foundation but not much. Re; The Foundation, I hope to have a poster that lists the Best Practices much like the 8 Principles or the 12 Touchstones. I believe we need to help at forming the end goals clearly for anyone wishing to achieve a “Best Practices” status. Like for me right now. If I am out of compliance with my overall philosophy in any way, then there is more work to be done. I know I am getting nearer to my vision when I am having to adjust almost all my infrastructure (i.e., updates to training manuals for staff and volunteers, horse usage tracking, changes to job descriptions, re-utilization of the volunteer coordinator hours to include volunteer natural horsemanship training – thank goodness it’s the exact same materials because of the Parelli approach) A lot of our components are in place but the written infrastructure must be completed and then we still need to stay responsive to things as they come to our attention. Like the herd review idea by Angie. That alone will keep us forever moving forward. The Action Research Model was implemented as a supporting management theory for this project. The Action Research Model has eight main steps where the roles of the members and facilitator may experience the process as co-learners (Cummings & Worley, 2016). The Action Research Model is useful for key types of projects, specifically communities, for knowledge gathering, and implementing change with community members engaged which made it a useful supporting model for this project. The cyclical nature of the Action Research Model proved to aid the process and keep this project moving forward which, at times, meant moving backward to revisit and make changes at previous steps. The Action Research Model provided a template to consult throughout the process and assisted in facilitation of the project. The cyclical nature of this model supported the use of Appreciative Inquiry in maintaining momentum while using time and energy efficiently and in a useful manner. Often revisiting a step created an opportunity to reassess and revise the plan. Note: Intended to be an ever-evolving flexible document. The subject of horse care is subjective and this document is based on survey input from within the equine therapy industry with the understanding that sharing information with each other offers the opportunity to generate optimal horse care standards for therapy horses. Avera, C. (2016, November 28). 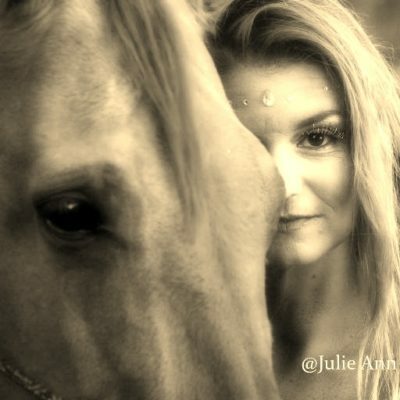 [Equine Therapy Industry Experts and Leaders]. Unpublished raw data. Cummings, T. G., & Worley, C. G. (2016). Organization development and change (10th ed.). Toronto: Nelson Education.